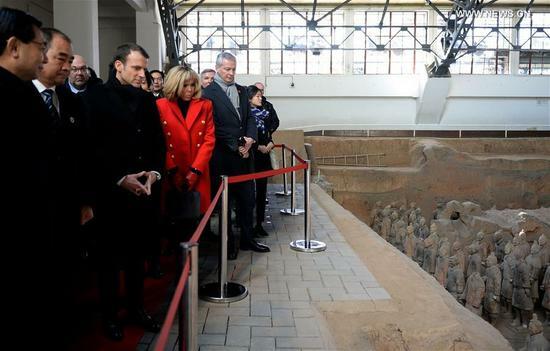 Along with his wife Brigitte, Macron visited the famous terracotta warriors in Xi’an, the Dayan Pagoda — a centuries-old Buddhist site, as well as the city’s mosque. The $1 trillion USD infrastructure program is billed as a modern revival of the ancient Silk Road that once carried fabric, spices, and a wealth of other goods in both directions. Finance, Politics, Translations Belt and Road, Climate Change, France, Jinping, Macron, Silk Road, Xi, Xi'an. permalink.